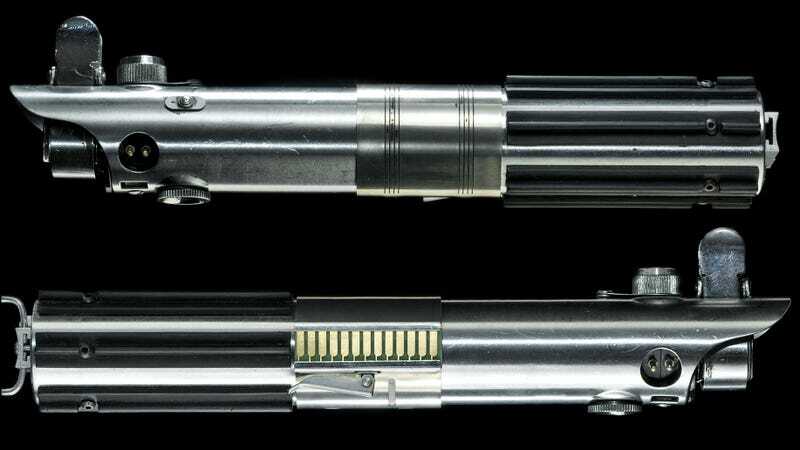 When spending $1,250 on a prop lightsaber, you want to be absolutely sure you’re buying as accurate a replica as possible. So instead of licensing designs and schematics to third-party companies, Disney and Lucasfilm have launched its own line of prop replicas that promise to be the most accurate ever created. The Star Wars Collectibles: Ultimate Studio Edition props will be manufactured by the Propshop at Pinewood Studios in the UK, where all of the props used in Star Wars: The Force Awakens were created. Using high-res 3D digital scans, access to the original designs, and advanced 3D-printing technologies, these props will be unprecedented in their accuracy—and will come with a price tag to match. Initially available exclusively in the United States, the first series of props will be based on those appearing in The Force Awakens, and some will only be available in limited numbers to ensure the collectibles maintain their rarity and value. You can safely assume that props from the other six Star Wars films won’t be far behind. There’s no word on what the release schedule will be like, but hopefully there will be time for your bank account to recover between each one.